Congratulations to Ethan Iverson on his new position. Here's the press release. New England Conservatory’s Jazz Studies Department has hired renowned pianist Ethan Iverson – best known for his work as part of The Bad Plus – to join the jazz studio faculty beginning with the 2016-2017 academic year. "I've been a big fan of Ethan Iverson for many years, not only because of his incredible playing with Bad Plus and others, but also because of his probing and insightful blog, 'Do the Math.' I'm thrilled to have him joining us at NEC," said Ken Schaphorst, Chair of NEC’s Jazz Studies Department. “After visiting NEC recently I was impressed with the level of students and the general commitment to searching out creative music,” said Iverson. “Teaching is something I've been more and more attracted to recently: It is a natural outgrowth of my blog Do the Math. At NEC I expect to grow personally and artistically alongside the students." 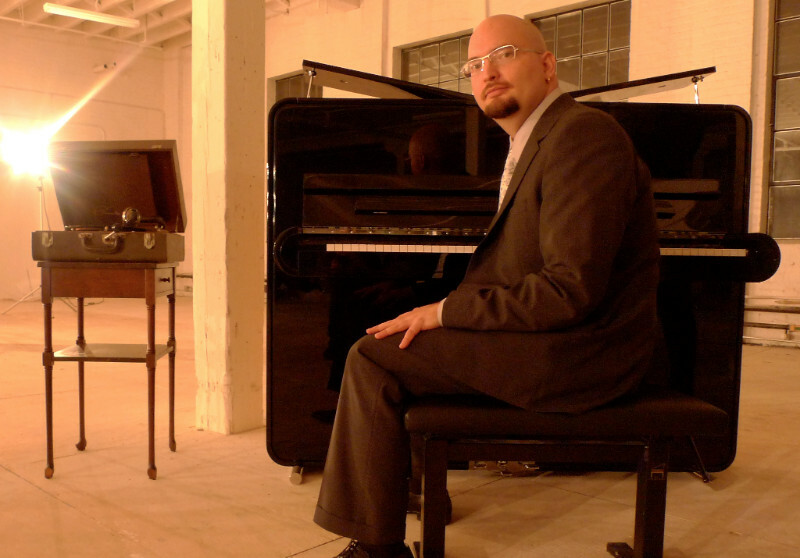 Iverson has earned wide acclaim for his work as one-third of The Bad Plus, a game-changing collective with Reid Anderson and David King. The New York Times called TBP "...Better than anyone at melding the sensibilities of post-60's jazz and indie rock." TBP has performed in venues as diverse as the Village Vanguard, Carnegie Hall, and Bonnaroo; collaborated with Joshua Redman, Bill Frisell, and the Mark Morris Dance Group; and created a faithful arrangement of Stravinsky's The Rite of Spring and a radical reinvention of Ornette Coleman's Science Fiction (the latter with Tim Berne, Ron Miles, and Sam Newsome). In addition to TBP, Iverson participates in the critically acclaimed Billy Hart Quartet with Mark Turner and Ben Street and occasionally performs with an elder statesman like Albert "Tootie" Heath or Ron Carter. For a decade Iverson's blog Do the Math has been a repository of musician-to-musician interviews and analysis, which is surely one reason Time Out New York selected Iverson as one of 25 essential New York jazz icons: "Perhaps NYC's most thoughtful and passionate student of jazz tradition–the most admirable sort of artist-scholar." NEC's Jazz Studies Department was the first fully accredited jazz studies program at a music conservatory. The brainchild of Gunther Schuller, who moved quickly to incorporate jazz into the curriculum when he became President of the Conservatory in 1967, the Jazz Studies faculty has included six MacArthur "genius" grant recipients (three currently teaching) and four NEA Jazz Masters. The program has spawned numerous Grammy winning composers and performers and has an alumni list that reads like a who's who of jazz. As Mike West writes in JazzTimes: “NEC's jazz studies department is among the most acclaimed and successful in the world; so says the roster of visionary artists that have comprised both its faculty and alumni.” The program currently has 95 students; 48 undergraduate and 47 graduate students from 13 countries.